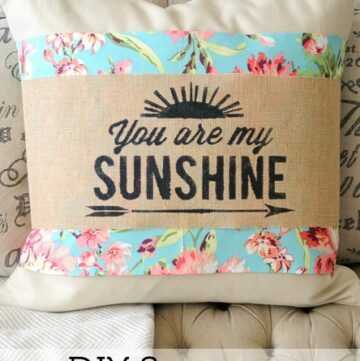 You are here: Home / Sewing / More DIY Reading Pillow Patterns! 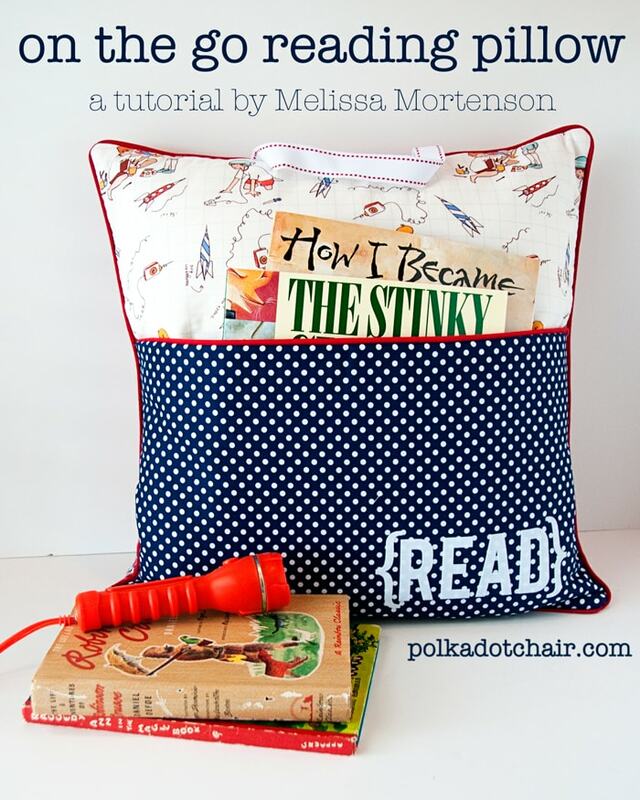 More DIY Reading Pillow Patterns! 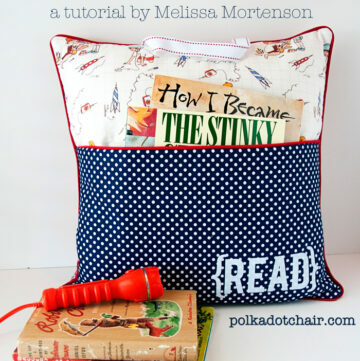 Today I’m excited to be sharing with you more DIY reading pillow patterns and tutorials. 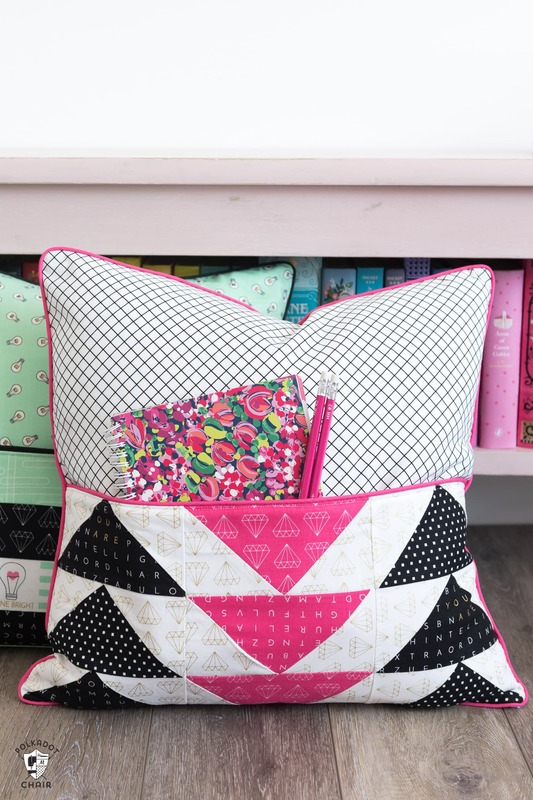 These reading pocket pillows are one of the most popular tutorials on the site and I hope you enjoy the updates to the original pattern. 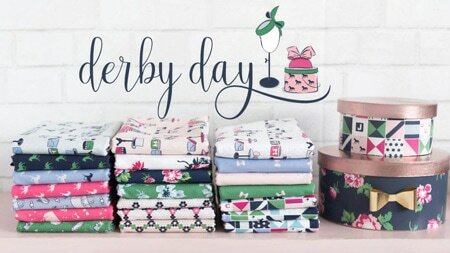 My good friends Liz and Elizabeth from Simple Simon & Co have just released a brand new fabric line with Riley Blake called Shine Bright. 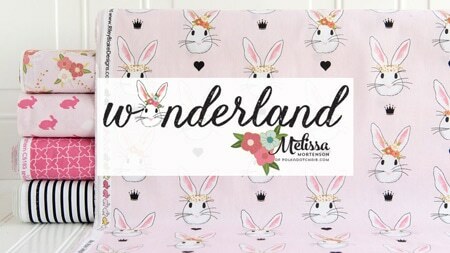 The fabric was inspired by Liz and Elizabeth’s daughters and their feeling that they always wanted their daughters to Shine Bright in the world. The fabric is full of inspirational message and quotes. There is even a print that looks like a word search that contains all kinds of cool phrases like “You are Intelligent” and “You are Extraordinary”. You can read a bit more about their inspiration for the line on their blog, HERE. 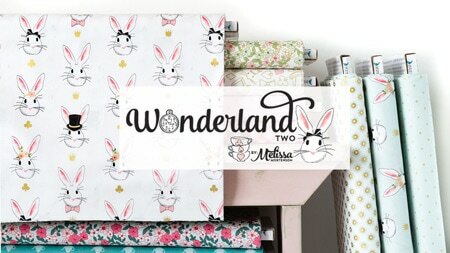 They asked me to be a part of the Blog Tour for the new line of fabric. They asked each of the people participating in the blog tour to talk a little bit about the inspiring girls and women in their lives. I decided today for my stop on the tour to create reading pillows with the fabric. I have two daughters and have tried to teach them many things in their life. One of the things that I’ve tried the hardest to teach them is a love for learning and the importance of education. I’ve always wanted them to work hard in school, prioritize learning, and do the very best that they can. I’ve learned that means something different for each of them, which I think is part of the beauty of it all. Several years ago (2011 to be exact, how is it I’ve been blogging that long?) I decided to make reading pillows for my nephews for Christmas. The pillows consisted of a large pocket on the front of a pillow designed to hold books and a flashlight (for late night reading). Later in 2012, I wrote a tutorial for the pillows and it completely took off. 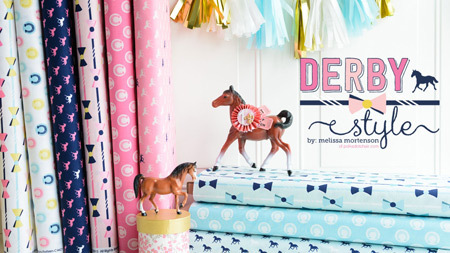 It’s by far the most popular sewing project on this site. I had no idea what a phenomenon it would become. 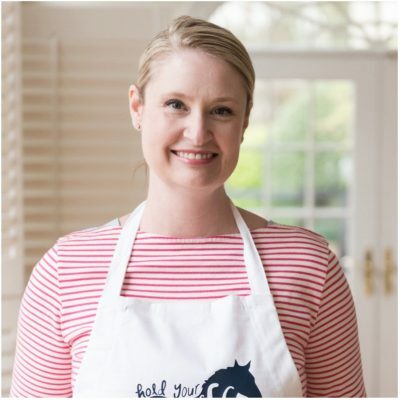 I couldn’t think of a better project for the blog tour than this one. Since I think that instilling a love of reading is so important. These pillows are fun and functional. They make great gifts too as they can be easily personalized. I’ve updated and stitched up quite a few pillows over the years. All of them have had a simple front pocket. I thought for today’s tutorial it would be fun to create patchwork pockets on the front instead. 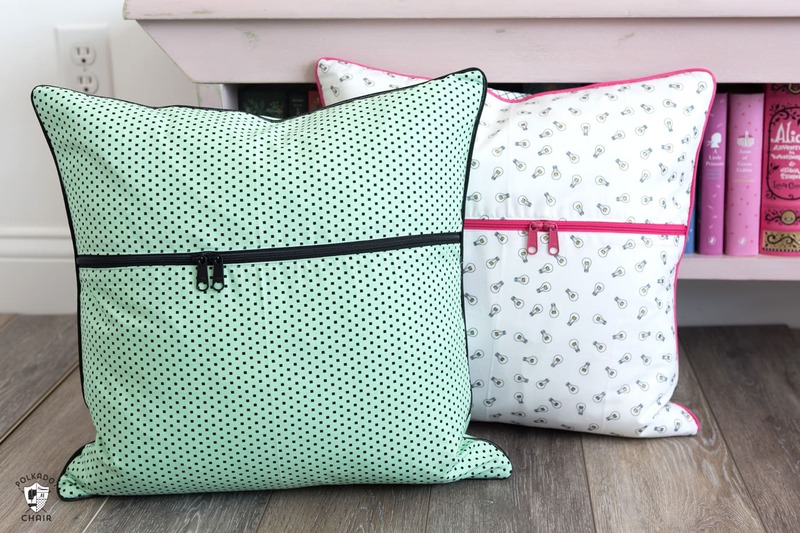 If you prefer a printable version instead, you can purchase my Pillows Sewing Bundle. It contains the pattern for the reading pocket pillow, these pillows and a few other fun ones too. It also includes instructions for adding a zipper to the back of your pillow. 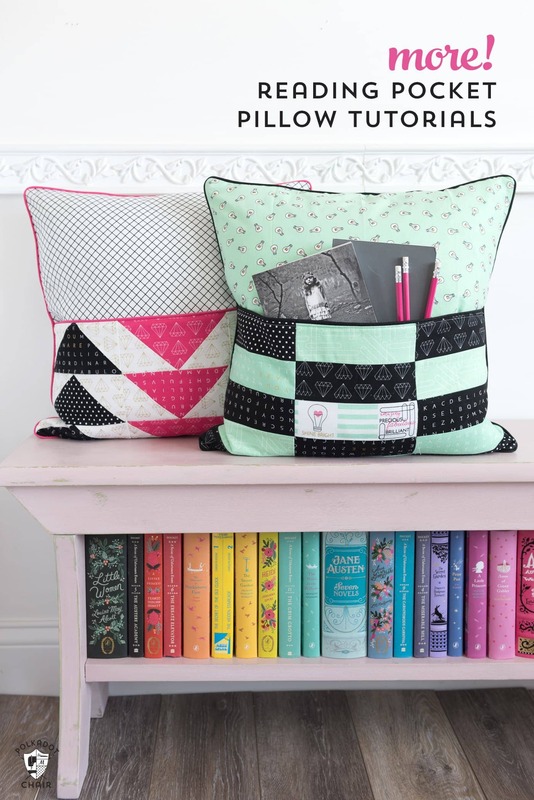 This Reading Pillow is made only from Fat Quarters. You may use yardage, but you’ll need to buy at least a 1/2 yard of fabric as the pieces are all 18″ wide. Contains affiliate links. I used Shine Bright Fabrics from Simple Simon & Co.
5-8 Fat Quarters depending on your design. 1 polyester zipper at least 18″ long (can be longer). These pillows are constructed in the exact same way that my original Reading Pillow was constructed. The only difference is the pocket on the front. 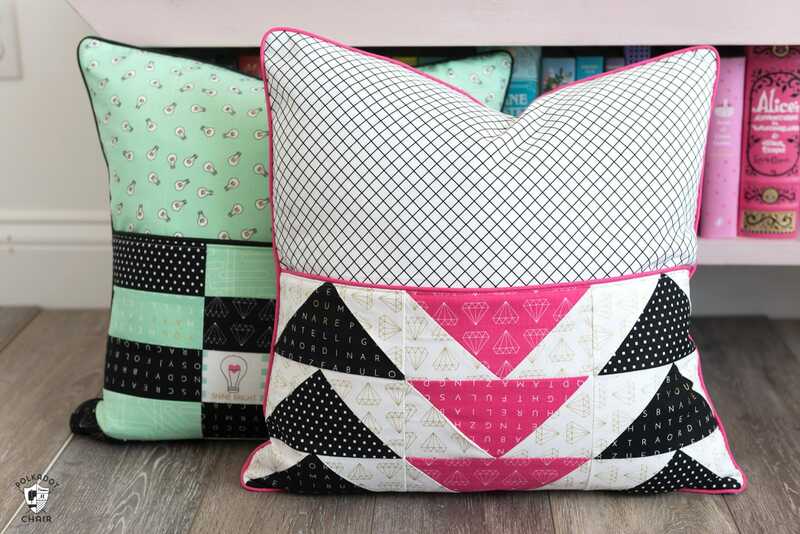 These pillows have pieced pockets that resemble quilt blocks. Choose which quilt block you’d like to make for your pocket pillow front. Make the Flying Geese Blocks. 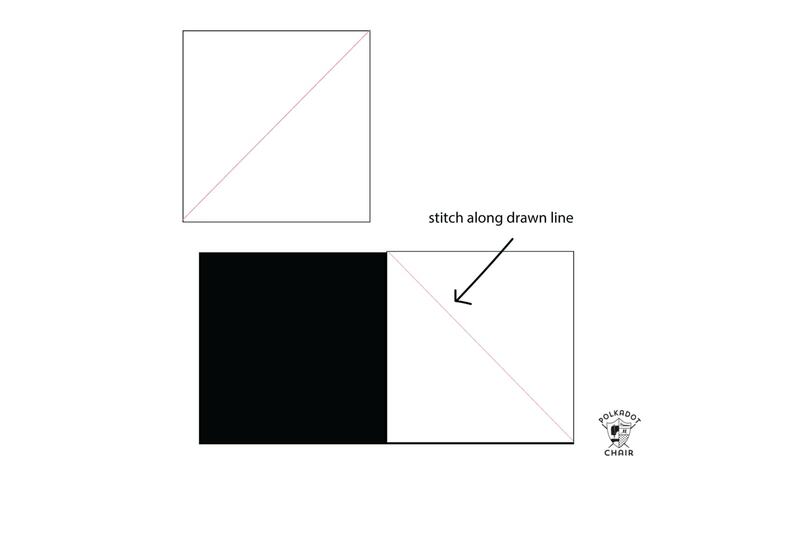 Begin by drawing a diagonal line down the center of your 3 1/2″ x 3 1/2″ squares. 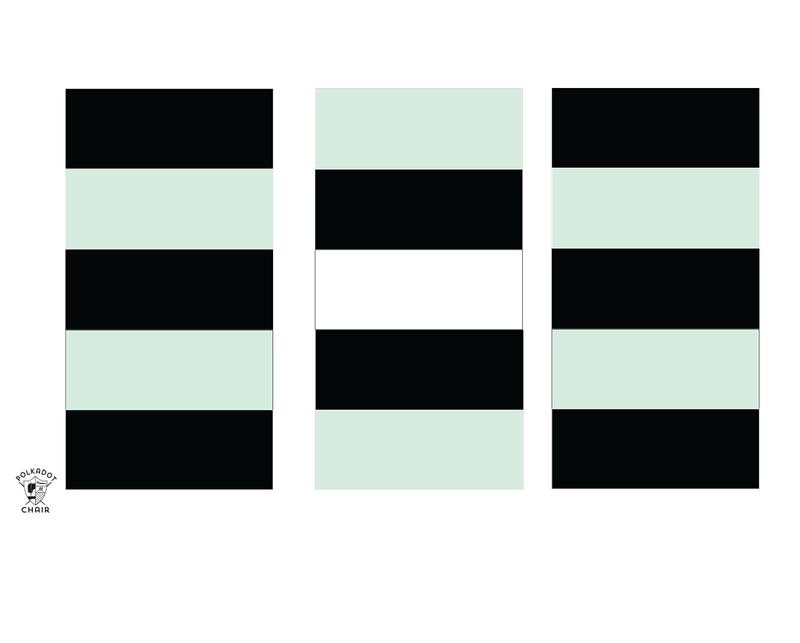 Layer one white square onto one of the 3 1/2″ x 6 1/2″ rectangles, right sides facing as shown in the photo above. Stitch along the line that you drew. 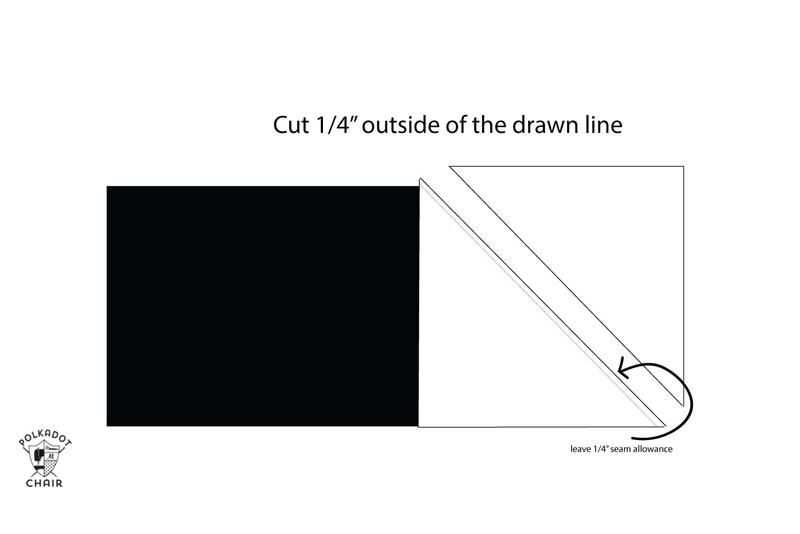 Trim the fabric 1/4″ OUTSIDE of the line that you stitched. Next, flip open the block and press the seam allowance to one side. Normally I press mine up, but it’s customary to press to the darker fabric. You can choose which one you like. As you press be careful not to distort your seam. Since it’s cut on the bias it may have a tendency to shift. 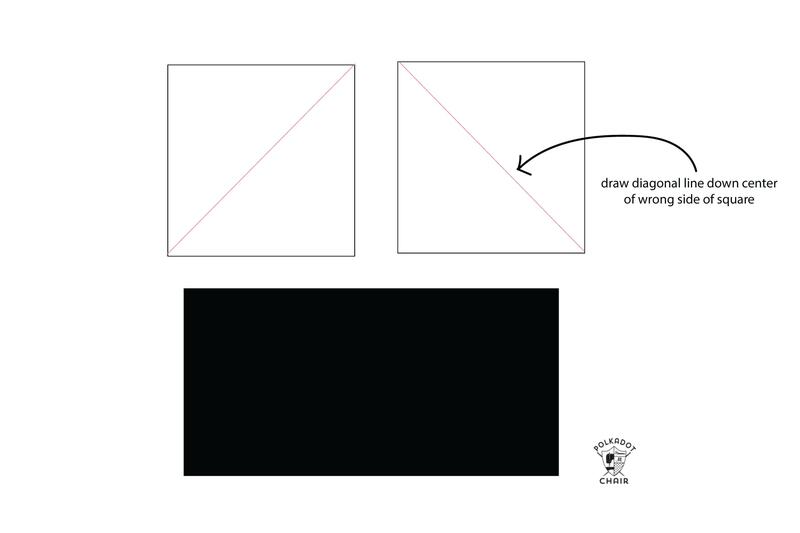 Now place the 2nd square on top of the rectangle in the opposite corner. Repeat the steps to stitch the other side. Repeat until you have 9 sewn blocks. Stitch 3 of the sewn flying geese blocks together along the long sides. Repeat two more times. 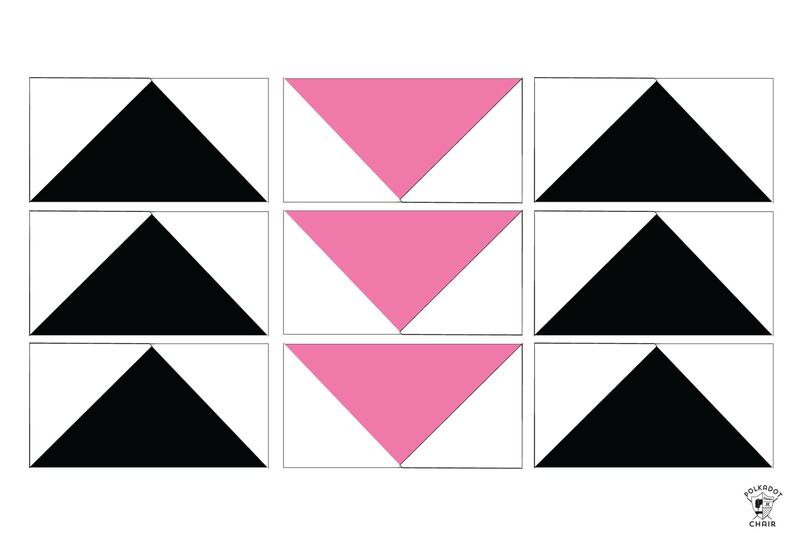 Arrange the blocks as shown in the diagram. Stitch together along the side seams. You’re now ready to continue making your reading pillow. 5 Strips each 2 1/2″ x 12 1/2″. Cut 3 strips from black fabric and 2 from mint fabric. 5 strips each 2 1/2″ x 6 1/2″. Cut 2 strips from black, two from mint, and one from white fabric. 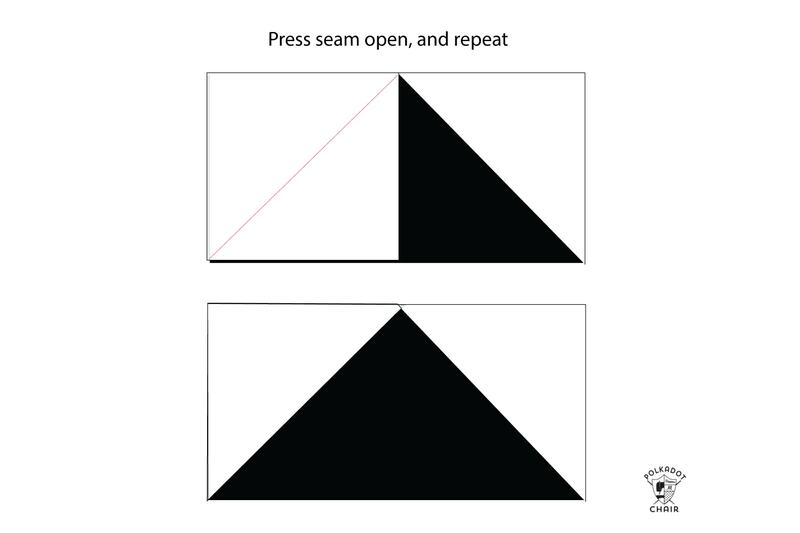 Stitch the 5 2 1/2″ x 12 1/2″ strips together according to the diagram below. Press all of the seams to one side taking care that you do not distort the seams as you sew. 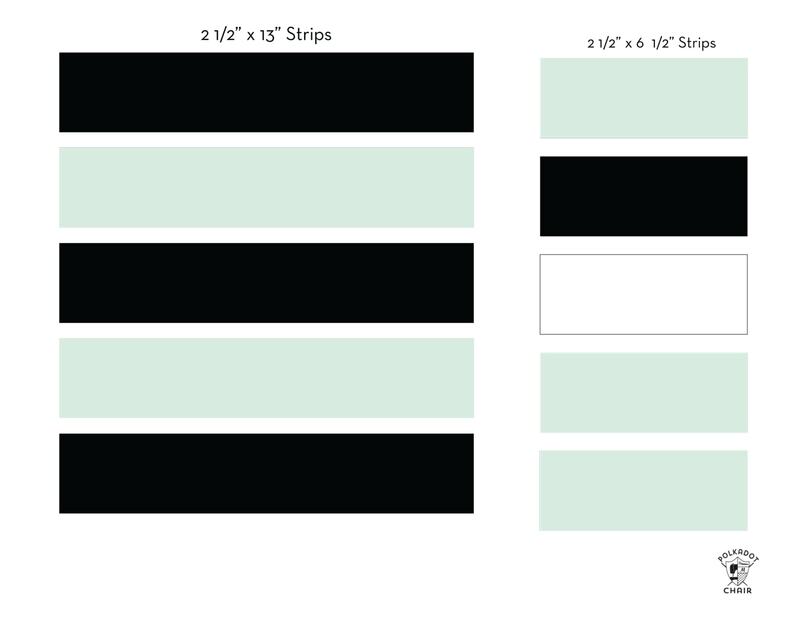 Stitch the 5 2 1/2″ x 6 1/2″ strips together. Press seams. 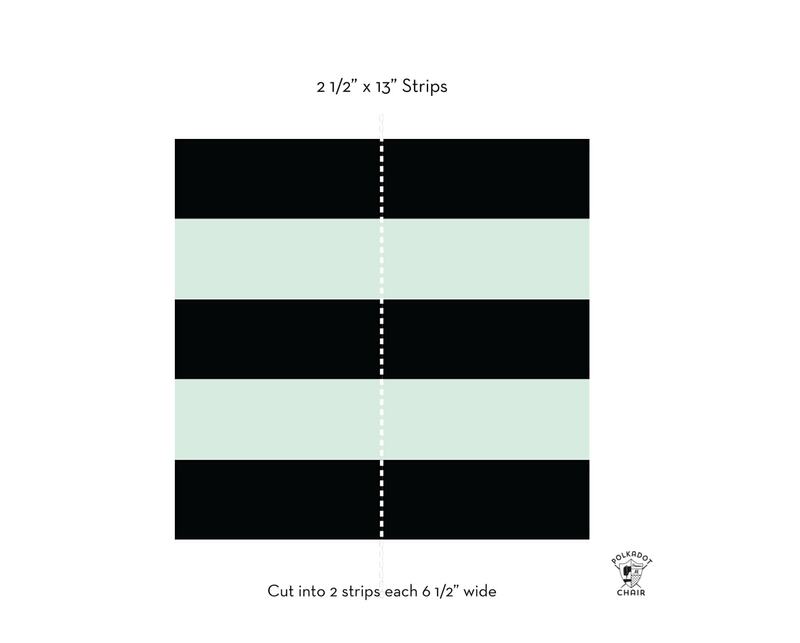 Cut the sewn 12 1/2″ strips into two pieces each 6 1/2″ wide. 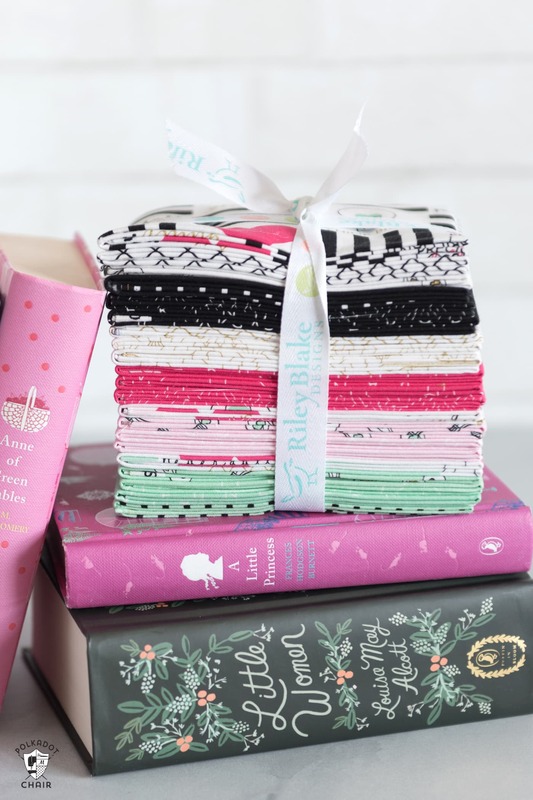 You will now have 3 blocks of strips each 6 1/2″ wide. Stitch them together as shown in the diagram below. If you want to vary your prints a bit more, then just flip one of the strips so that it’s upside down. Take your sewn front pocket piece and cut 1 piece of fabric for the pocket lining the exact same size as your sewn pocket piece. Cut a piece of fusible fleece the same size. 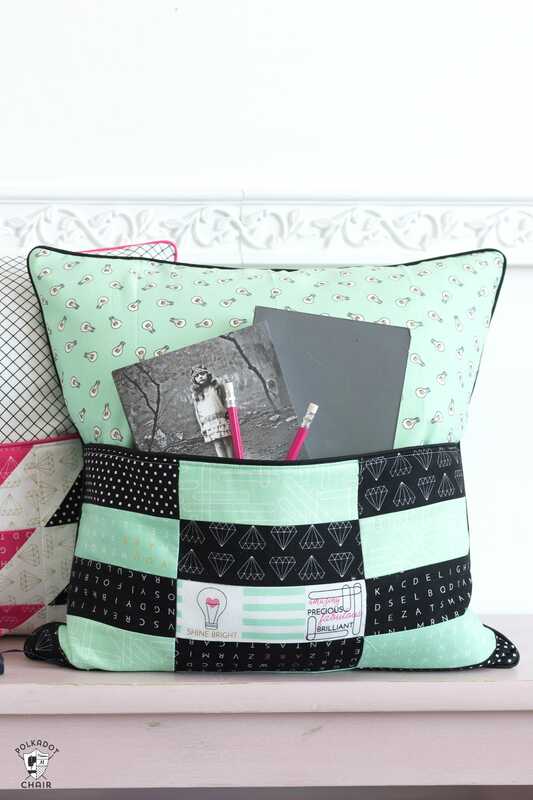 You can finish stitching your pillow according to the Reading Pillow Tutorial that can be found HERE. Just a note, your sewn pocket pieces are 18 1/2″ wide and your pillow pieces are 18″ wide. Just pin the pocket pieces to the pillow front pieces so that they “bow” out a bit. You won’t notice the difference. 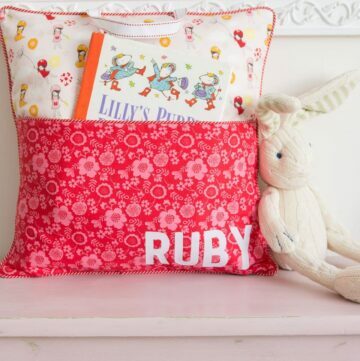 -Click here for the Reading Pocket Pillow Sewing Pattern Construction Instructions. 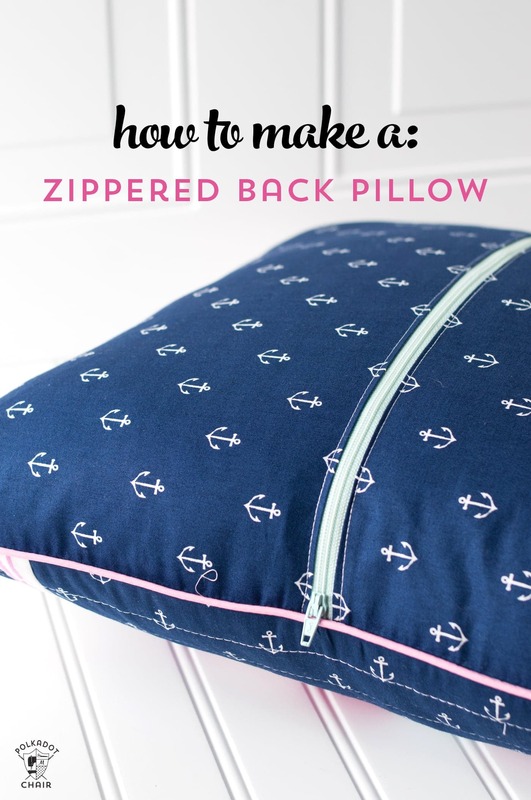 If you’d like to create a zippered back for your pillow cover (so that you can take it off to wash), you can follow this tutorial on How to add a Zipper to a Pillow Back. I love to read (it does cut into sewing time though). 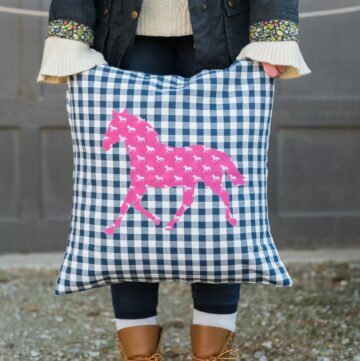 This pillow will be a great gift for my grandchildren. I’m looking forward to getting started. thank you. Thanks for the tutorial. I am bookmarking this for birthday gifts this year. These pillows are fabulous. I love the fact that I can read, write, or anything like that, while watching TV, without searching., I can keep the paper, pen, remote control ect, handy. Thank you. What clear instructions… Thts my project for end of year gift to my kids library teacher .. loved it!!! Hopefully when I am done..I will post a picture.